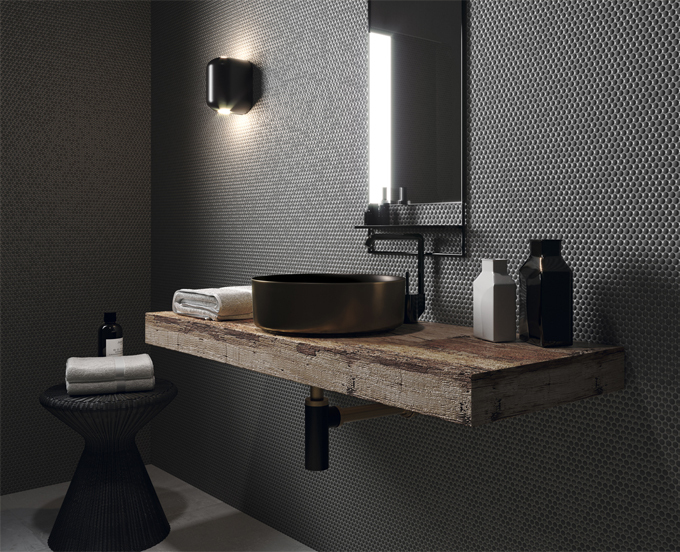 The latest ranges from Artelinea bring together a real focus on the versatility of combinations and the success of challenging the standard, pushing the boundaries in functionality and beauty, to offer a new, fresh perspective on modern possibilities. 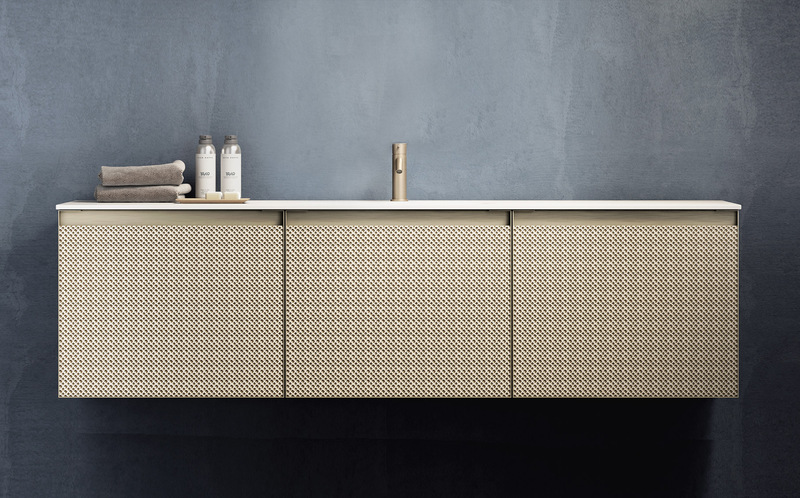 In the new +Skin range, Artelinea have combined several materials in a single piece to create a functional vanity unit that brings a bathroom to life through its glorious use of alternating textiles. 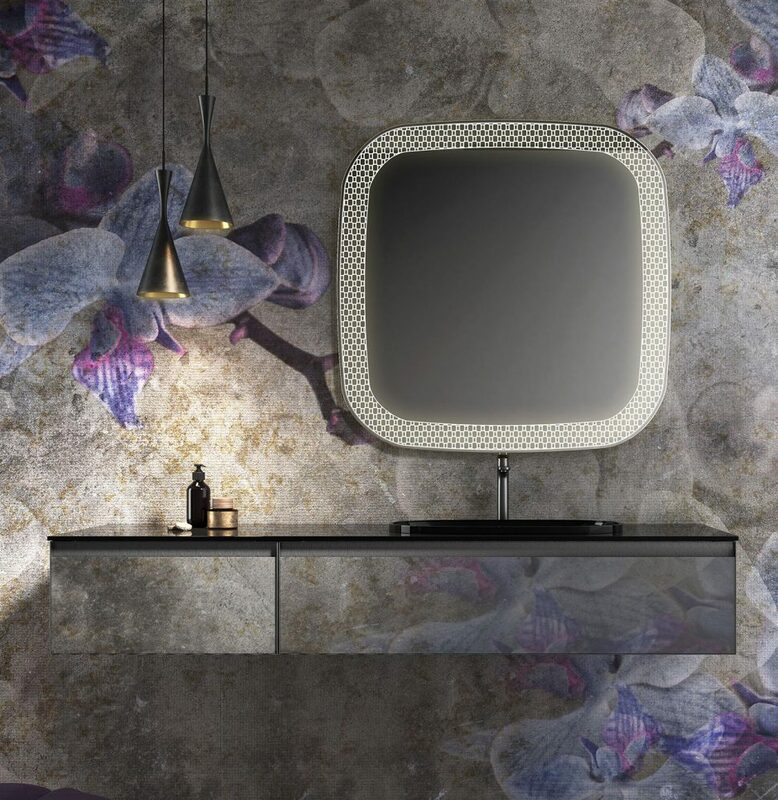 Artelinea utilises materials such as glass, mirror, decorative porcelain and prints to lend sophistication and a real stylish opulence to the space. Stylish prints breathe a soft elegance into bathroom routines, adding a decadent feel to those every day tasks. 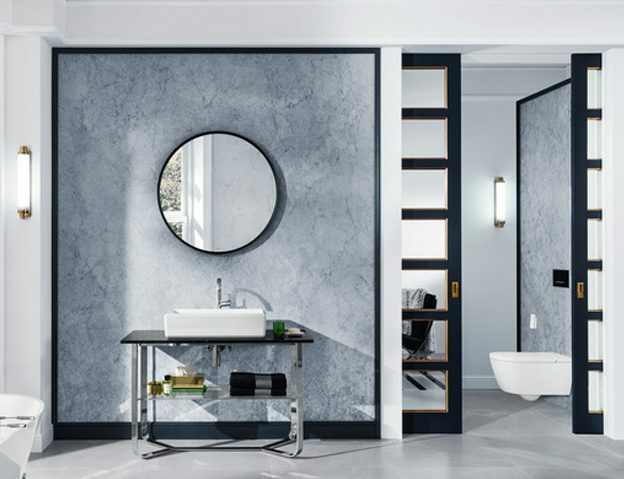 Artelinea’s Plissé collection redefines traditional concepts through deliberate, precise shapes entirely made out of glass, promoting the metal detail to bring a glorious depth and detailing to the design. 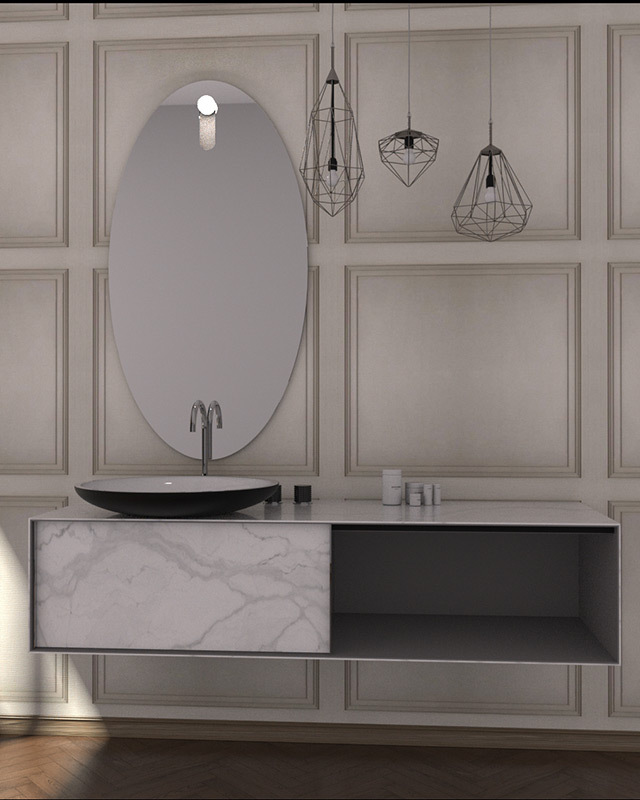 These vanity units exude a truly elegant style, with bold designs that brings an enlightened feeling to the room. These freestanding units create a gentle functioning focal point to the space with becoming overbearing or too dominating. 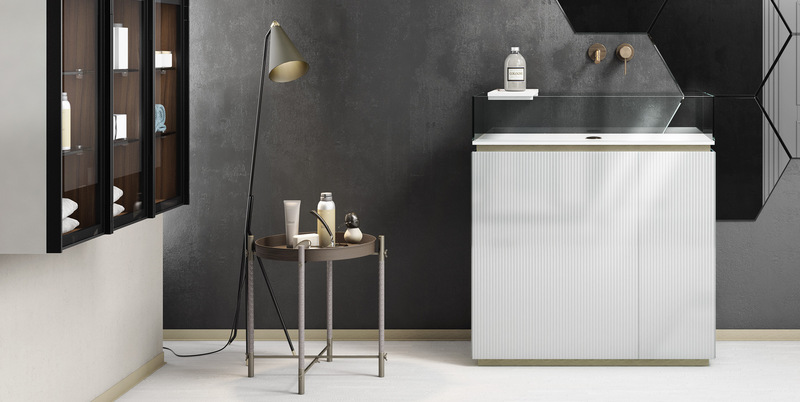 Simplicity born of vintage lines and functioning aesthetics give Artelinea’s new T-60 range its charm and addictive style. Using the decadently exuberant mix of glass and metal means the collection carries both character and expressive beauty. The striking simplicity offers a raw yet understated functionality to these pieces, which so beautifully combine materials and linear design to captivate the eyes. 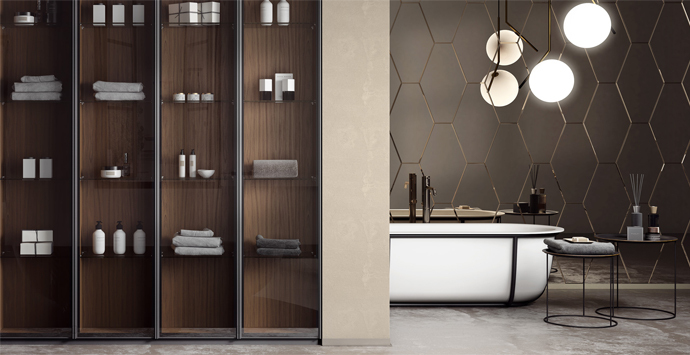 Concept Virtual Design’s talented in-house design team are passionate about creating decadent, luxury bathrooms for private client projects and high quality refurbishments. We source the latest technology, textiles and trends to bring timeless opulent designs into reality, our skill is our vision and our art of design pulling your look together. 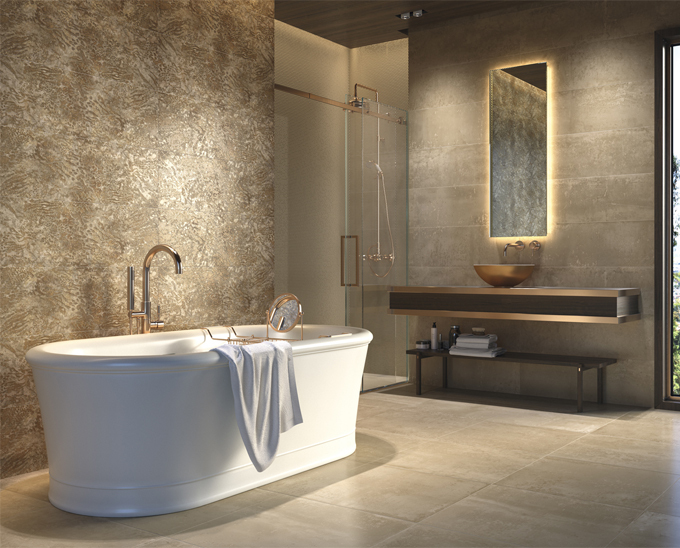 The revolutionary Floatation Bathtub from TOTO is now available to add a truly luxurious indulgence to any private client build or luxury development. This bath centres around relaxation and wellness and features many exclusive features to bring a spa experience into a home. ZERO DIMENSION bathing provides a freedom from gravity that induces ultimate relaxation and stress relief for joints. The position achieved in a ZERO DIMENSION bath reduces activity in the part of the brain that houses language functions resulting in a calm and relaxing feeling. See more information on we wrote about the TOTO Floatation Bath. HYDROHANDS – A dynamic water massage that encourages a deep sense of relaxation. Silent water currents are propelled towards targeted muscles at a much rimer rate than classic bath jets, to release tension. The constantly-moving stream simulates a trained masseuse hands all in the comfort of your own bath. 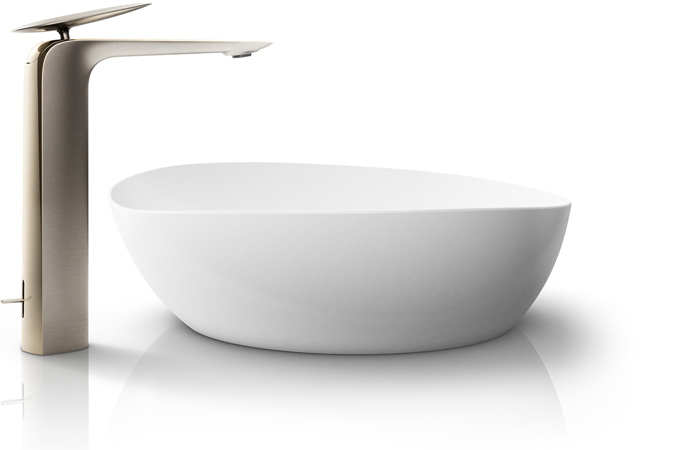 Neck Bath – This features variable pillow positions for stability to ensure this bath can be enjoyed by all. Air-Jets – The body is enveloped by fluctuating streams of air bubbles rising from below. LED Lighting – LED lighting found in the outer perimeter of the base of the tub creates a dream-like ambience adding another element of relaxation to this bathing experience. GALALINE Material – GALALINE is an artificial marble that along with TOTO’s innovative sandwich configuration ensures outstanding durability. Controller – The electrostatic controller can be operated with the slightest touch to ensure the peace and relaxation you create are not interrupted. At Concept Virtual Design, we work with top designers and brands to bring you timeless finishes and styles for luxury developments, refurbishment projects or private client new builds, ensuring that your project is completed to the highest finish possible. Our in-house design team are available for consultations by appointment and are often consulted at the start of an architectural design or building process to ensure that the space created is optimised from the beginning ensuring the most luxurious space possible. To find out more about how our in-house design team can help enhance your project, please contact us and arrange to visit our specialist bathroom project and tiles studio. 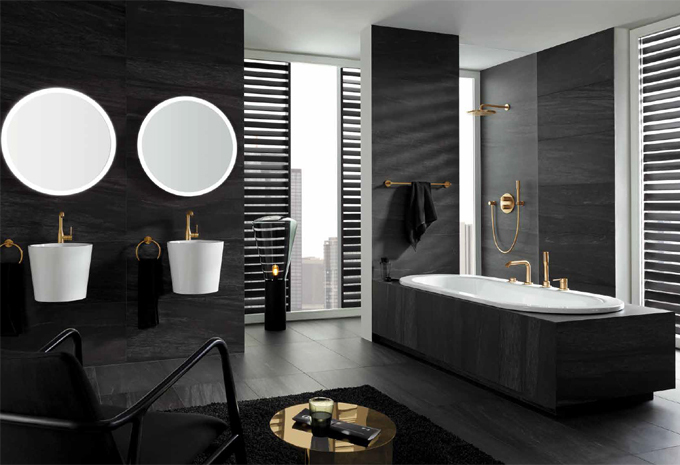 The decadent Antheus bathroom collection by Villeroy & Boch combines classic and contemporary styles, reflecting the modern age. This collection was previewed in 2017 and now is available to order for private client projects and hi end developments, ensuring the latest cutting edge of style and design. The Antheus collection is elegant in its simplicity but bold in impact in any space, a true modern classic. 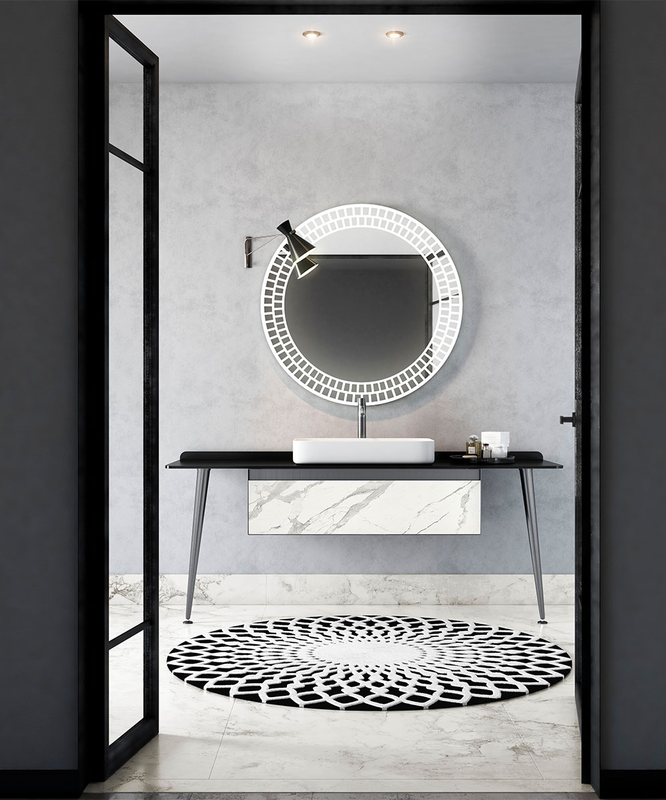 The Art Deco-style geometric contours adorning the edge of the basin and toilet create an impression of lightness transforming premium ceramic, polished stainless steel, elegant marble, the finest Quaryl and exquisite wood into a modern feature. 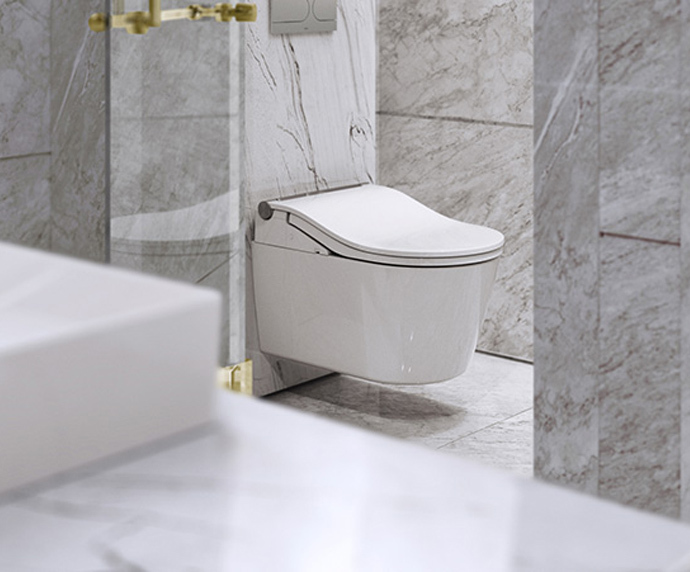 The innovative TitanCeram material used, offers exceptional strength and durability allowing for the clearly defined edges seen on the toilet, basin and bath. 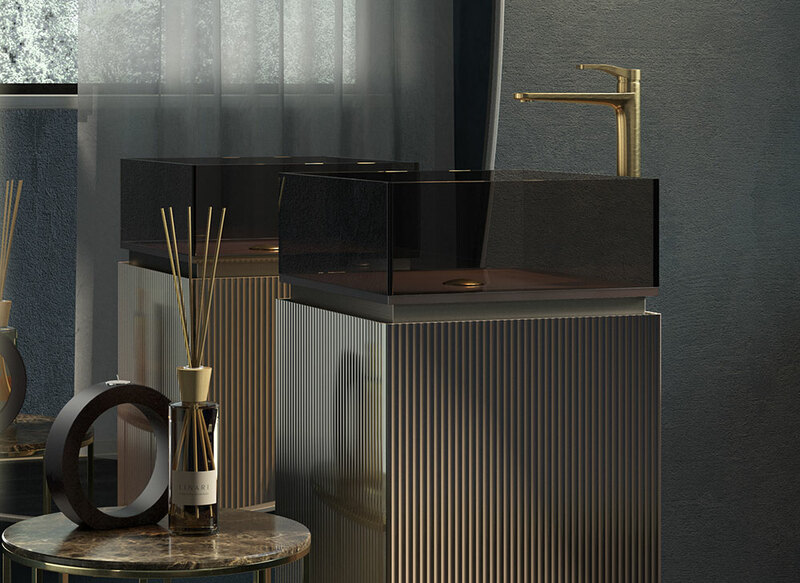 This combination of modern materials and Art Deco inspired style bring a freshness to this collection that would make an excellent addition to any luxury washroom. 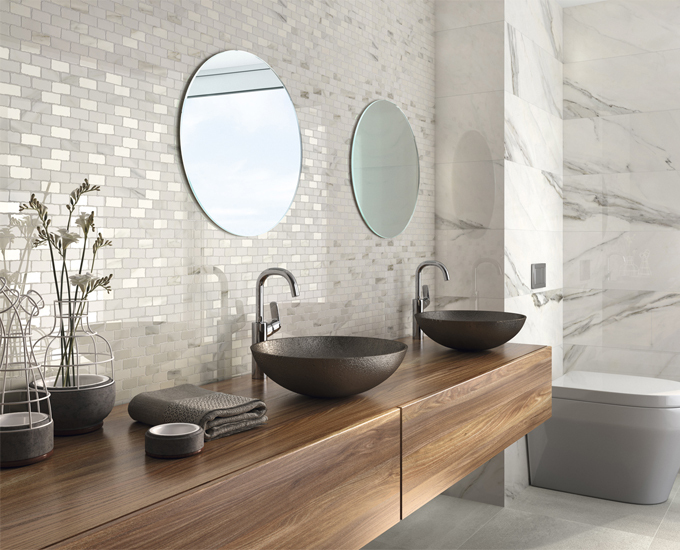 The true monolithic, free-standing bath exudes a pure contemporary style featuring particularly thin side wall and the classic Antheus faceting on the rim, yet its timeless elegance ensures this piece is a true focal point in any room. At Concept Virtual Design, we work with top designers to bring you timeless finishes and styles for luxury developments, refurbishment projects or private client new builds, ensuring that your project is completed to the highest finish possible. Our in-house design team are available for consultations by appointment and are often consulted at the start of an architectural design or building process to ensure that the space created is optimised from the beginning ensuring the most luxurious space possible. To find out more about how our in-house design team can help enhance your project, please contact us and arrange to visit our specialist bathroom and tiles studio. Concept Virtual Design is dedicated to bringing you the most current trends and designs for your luxury development. 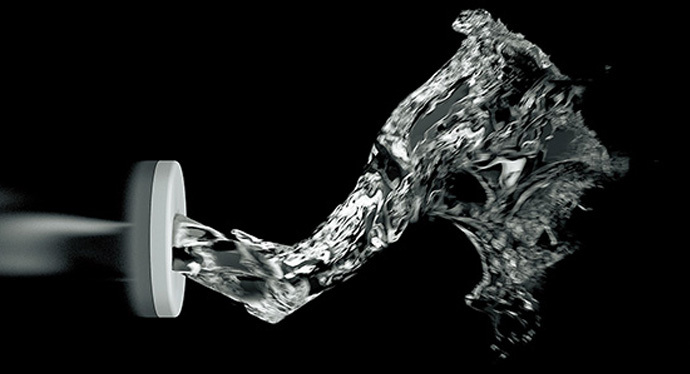 We work closely with GROHE, a quality design manufacturer dedicated to providing innovative water products. 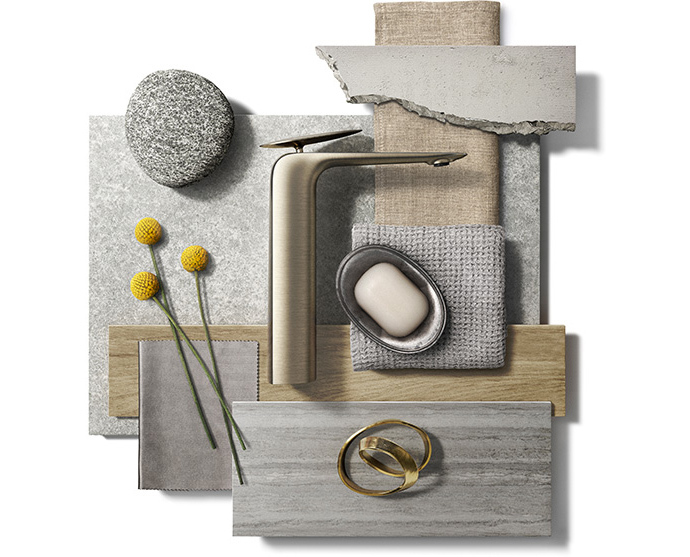 GROHE believe that you should have the freedom to express your individuality and have created outstanding designs and exclusive colours to facilitate this. Using their bold colour options you can create an inspirational designer statement in any luxury apartment. 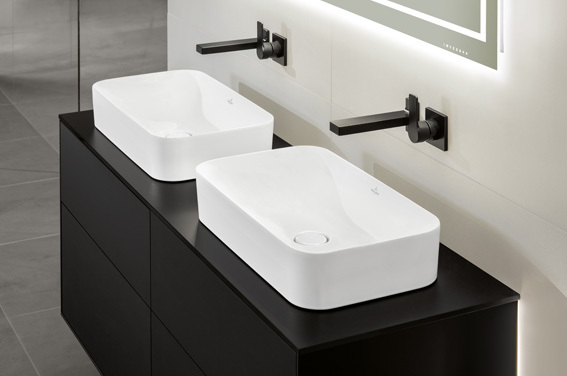 GROHE offer premium products that are inspired by their two high quality finishes: a classically elegant polished surface and a modern pure brushed surfaced, both of which are available for their 10 different colour options, to let you express your ideas your way. 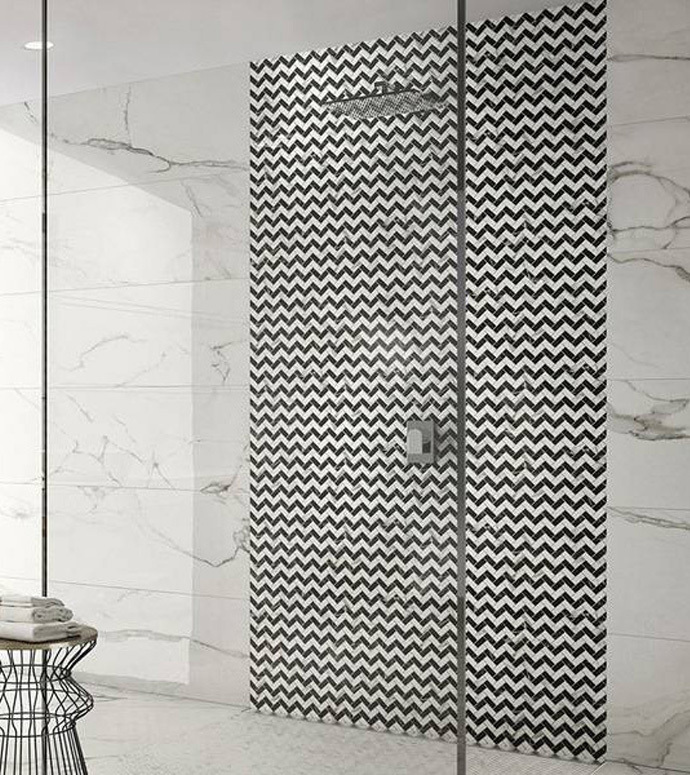 The brushed cool sunrise finish on the shower and taps above, in this luxury apartment contrast with the black and white features, creating an aura of luxuriousness. 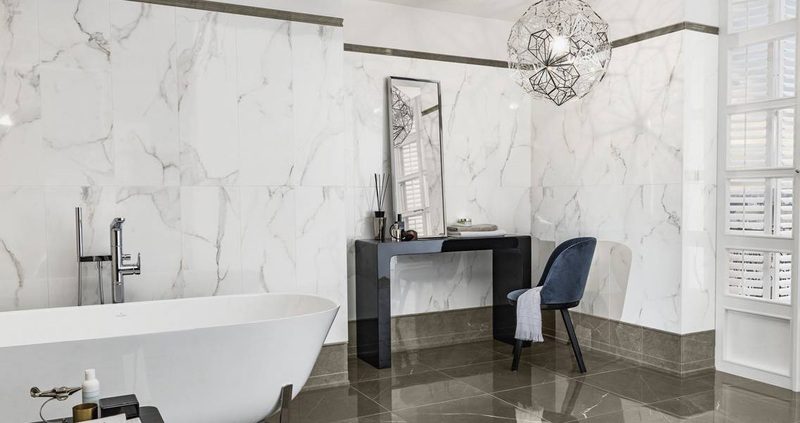 The polished nickel finish which can be seen in this luxury apartment is a more subtle finish but it can brighten and add a sophisticated finish to any bathroom. 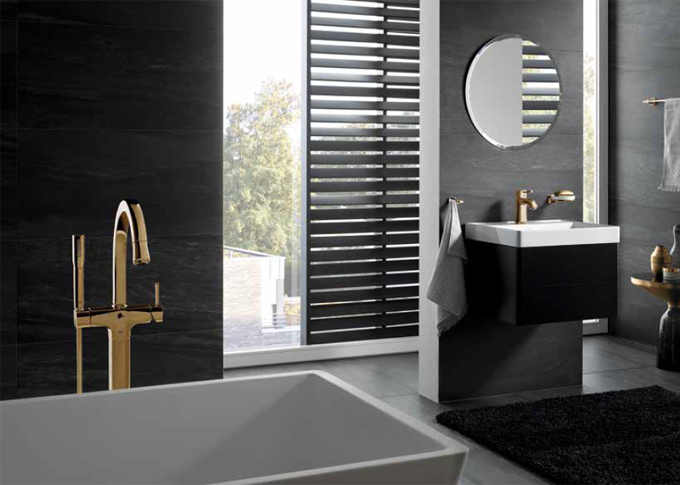 The sleek finish to these taps give a contemporary feel to this bathroom with a hint of a classic twist without using the a normal chrome finish that can be found in many bathrooms. For a more elegant timeless finish why not go for a polished surface like the polished cool sunrise finish. In comparison to the brushed cool sunrise this finish shines out like a golden paradise, it gives an aura of wealth and luxury while still being in keeping with the rest of the room. 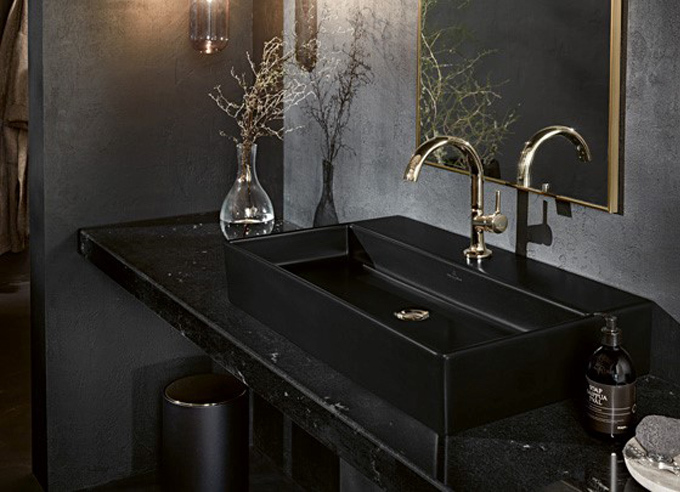 This is a bold feature that would work in any contemporary hi end apartment, to bring an edgy yet elegant feel to your bathroom. At Concept Virtual Design, we work with the most up to date designers to bring you timeless finishes and styles for luxury apartment design for developers, quality refurbishment projects or private client new builds, to ensure your project is completed to the highest standard. To find out more about how our in-house design team can help enhance your project, please contact our team to visit our specialist bathroom and tiles studio. Our in-house design team are available for consultations by appointment and are often brought in at the start of the architectural design process or building process to ensure that the correct bathroom space is created and that it is optimised from day one to produce the most luxurious space possible. 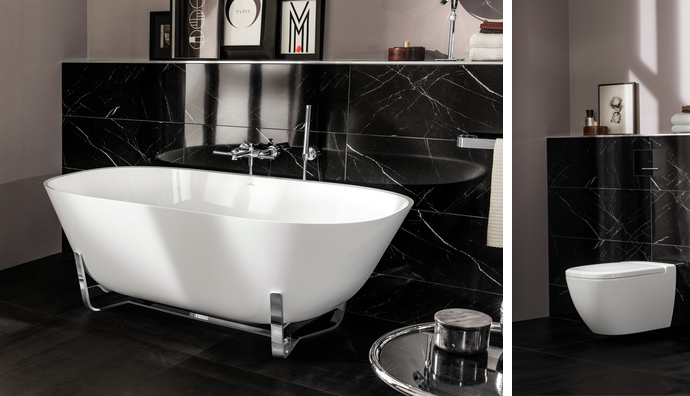 The stunning new Finnion range by Villeroy & Boch, includes sleek monochrome styling, perfect for any luxury bathroom. The bold black and white crisp edge styling detail, allow for a contemporary twist to any private client project or luxury development. This beautiful range creates a feature in any luxury development with it simplistic yet striking design. 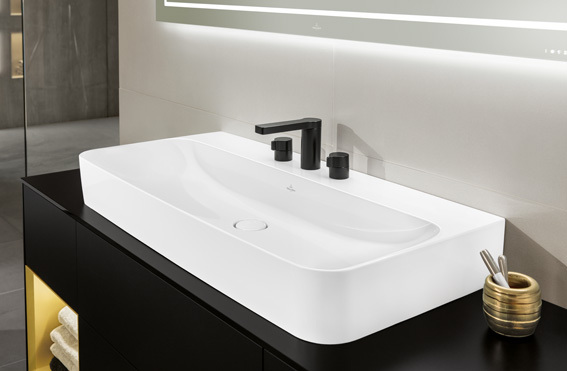 The TitanCeram basin can be enhanced with both wall mounted colour coordinated taps or a basin tap fitting to give you the versatility to create the perfect space for your development. 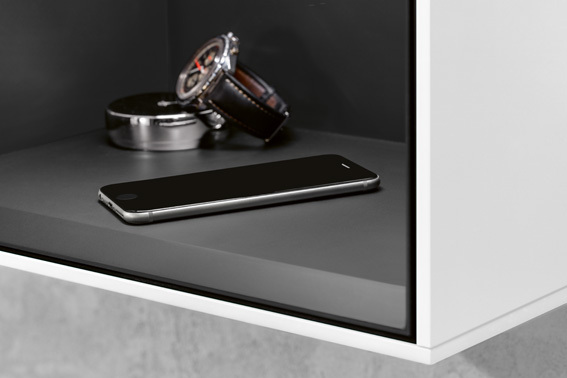 For the tech savvy out there this range also includes a beautiful wall shelf unit that can be used as an iPhone charging station. 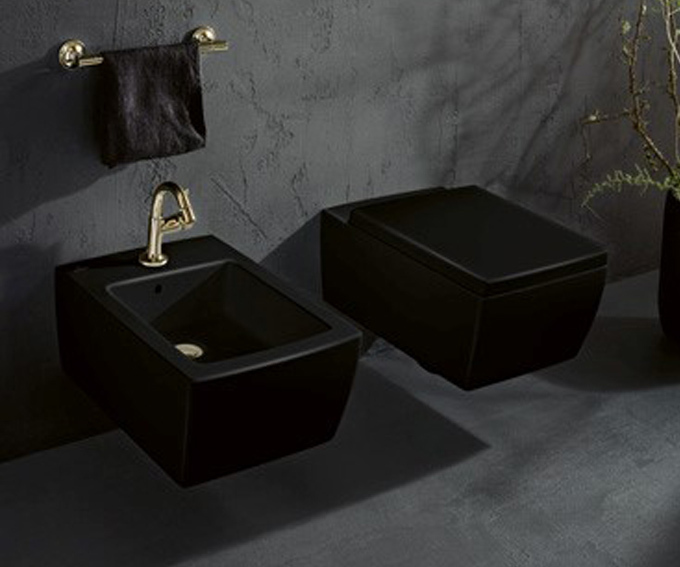 Combining current trends with practical yet stylish items this range is the idea fit to any luxury bathroom. 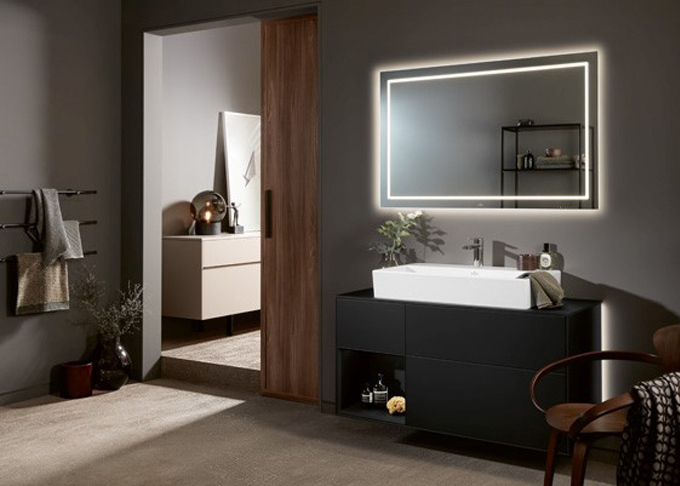 Concepts in house design team is on hand to find the right solution for your project, we are happy to talk through your initial requirements as part of our detailed bathroom design process. We can design private projects and luxury developments, at a pre-build stage, to ensure the very best design space optimisation.